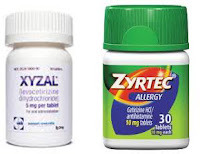 Home » zyrtec » Zyrtec (OTC) and Xyzal (Rx) Contain the SAME Active Ingredient? Prilosec (OTC) and Nexium (Rx) Too! Zyrtec (OTC) and Xyzal (Rx) Contain the SAME Active Ingredient? Prilosec (OTC) and Nexium (Rx) Too! If zyrtec and xyzal (allergy medications) both contain the same active ingredient (cetirizine), why are they "different" and one is sold over-the-counter (zyrtec) and the other available only by prescription (xyzal)? This is also true for reflux medication prilosec (OTC) and nexium (prescription) which contain the same active ingredient omeprazole. It's because of mirror images of the same active ingredient molecule... with one being biologically active and the other inactive. In nature, there is a "doppelganger" of sorts for every protein, compound, molecule, and even drug ingredients. This doppelganger is what is known as a stereoisomer and is an exact mirror image copy of the original. As such, they look the same, but are actually very different, just like a pair of hands. Though both hands appear to be an exact copy of the other, one is left and the other is right and that's why you can't wear a right glove with a left hand. The two structures are an EXACT replica of each other with the colored balls in the exact same location relative to each other. The two structures are an exact MIRROR image of each other and though they appear to be the same, the colored balls cannot be overlain on top of each other due to different relative locations. ZYRTEC contains the active ingredient cetirizine, but both the L and R-isomers. XYZAL also contains the active ingredient cetirizine, but only the biologically active L-isomer. Same goes for PRILOSEC which contains the active ingredient omeprazole, but both isomer shapes. NEXIUM contains only the L-isomer shape. Now wait a minute... if you look at the box for NEXIUM, the active ingredient is esomeprazole and not omeprazole. Note that depending on the convention used, L-isomer may be called S-isomer; R-isomer may be called D-isomer. SO... "S"-isomer omeprazole is Nexium. "S"omeprazole sounds like esomeprazole. Same goes for xyzal which has as it's active ingredient levocetirizine and not cetirizine. "Levo" is latin for left (from laevus). So L-ceterizine when not abbreviated turns into levo-cetirizine. Now why in the world would a drug company sell a product that contains an inactive stereoisomer when it is a known fact that only the L-isomers are biologically active? A patent on a drug only lasts 10 years. After that, it goes off patent (generic) and other companies can start making and selling it. However, by making and selling a "dirty" version first (containing both L and R-isomers), they can reserve for a later time the "purified" version (L-isomer only) and get another 10 years of patent protection after the dirty version goes off-patent. So when you see a commercial, read literature, or talk with a sales representative that xyzal is more effective than zyrtec, that nexium is more effective than prilosec... it IS true... but only because xyzal and nexium contain only the purified mirror-image of the active ingredient. Thalidomide was a widely prescribed sedative drug which was later found to cause horrible birth defects... well... only the S-isomer caused the birth defects. The R-isomer did not... But guess what? 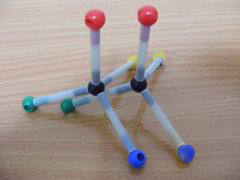 The thalidomide that was sold contained both isomers. This is an extremely well-written article. The differences between isomers is well explained and I received all the information I needed and more from this article. Thank you so much, Dr. Chang--you have a real talent (not just skill) for teaching. Agreed! Thank you for the well-written explanation! A real eye-opener thank you Dr.Chang! I agree with the first poster you made the explanation really understandable a job well done. I was given Prilosec and had a bad reaction to it. I am allergic.Now I take Nexium without any problems. I never knew until now that they were the same medicines only in different forms. Zyrtec does nothing for me but Xyzal helps tremendously. I am curious why the author leaves out the facts surrounding isolation of the L isomers. Cost associated with the lab work, testing costs (all phases) failure rates post launch etc. Once you declare research the patent clock starts. Isolating the metabolite aka Atarax to Zyrtec and the isomers Zyrtec to Xyzal takes time and research money. You're still not guaranteed to succeed and if it's a bust, you're out hundreds of millions if not billions. It's a little more involved than greed. Thanks for s clear explanation. I assumed something with both L and R not just would be better! Now I understand. The government subsidizes pharmaceutical companies research, etc. So, they have very little of the costs involved in new drugs, but they keep all the massive profits. Drugs are very often pennies to produce, but cost us, the consumers, hundreds of dollars. Or cost the insurance companies that much. Pity the poor people without insurance who have to pay the highway robbery, and for me personally, my pet's meds are VERY expensive. I KNOW they don't have to be. For instance, Flovent (life-saving oral medicine for asthma) in the USA is $300 each (for a month's supply! ), but I can get it out the country for $30/each. It's BigPharma's GREED that makes it so expensive. I find it disgusting & reprehensible. That's why our "health care" system is broken - BigPharma's GREED. Dr. Chang, it wasn't that Thalidomide was sold as a racemic mixture, the point was moot. While you are correct that the (R) enantiomer of thalidomide is effective against morning sickness and the (S) enantiomer is teratogenic, the drug racemizes in vivo, and therefore was not physiologically available as only the (L) stereoisomer during its period of use. It seems plausible that the (L) stereoisomer could be chemically altered and stabilized to prevent racemization and retain its usual pharmacologic activity, but we now have Zofran! Doesn't cost pennies to develop and get fda approval but certainly not the millions they pull in. The racemates are all about cold hard cash, indeed. Odd. Government never sponsored or subsidized a single one of our meds when I worked for big pharmacy. In fact. The rule is, I'd they di, through say NIH, THE government gets to set the price to what they believe is a reasonable amount. They also fast track the phase III AND IV clinical trials. So here we go, you don't have to use Flovent. There are at least a dozen alternatives many being generic and just as efficacious. Allergy meds. Theres benedryl, atarax, claritin, on and on that are generic and pennies per pill. Because you choose branded at 300 a month and figure out a way to afford it then guess what, you're funding the next generation of meds that...ahem, likely 9.8 out of 10 will come from a US pharmacy company. Please tone down the hyperbole and liberal talking points and self educate. They WON'T charge what the market place can't bear. It's the exception of the venture capital company selling sole life saving meds at 5000 x previous amounts. That is by far the exception, not the norm. Nit sure if zyrtec is still UCB Parma and if Xyzal is. If zyrtec is sold under its brand name zyrtec it'll be more than same quantity of cetirizine. People want brand name but get the same thing. Xyzal in the other hand generic or branded is a superior product to both zyrtec and atarax without the levels of sedation of atarax etc. Hope this helps. Sorry I used isomers lol. 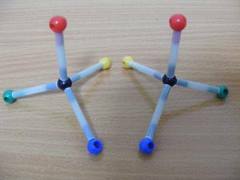 Enantiomer is more appropriate although a mirrored isomers is also commonly used to describe what I'm speaking to. What bio Chem has taught us that typically the R Enantiomer houses the overwhelming majority if the side effects or even characteristics that can "turn off" theoretically beneficial pharmacological effects. The reason why biotechnology companies can be hugely profitable is they can take old drugs and essentially tailor them by isolating the Enantiomer or even turning on and off attributes of the R Enantiomer! It's really fascinating. Not cheap but incredibly powerful, targeted, and very safe. I use my parents as an example. No one on my father's side has lived past around 60 (males). My father turns 83 this year. He's diabetic, a cancer survivor, has high blood pressure doesn't smoke drink just crappy genes. All symptoms that have killed his forefathers and siblings. It's an amazing time we live in but this does have consequences. Costs. I'm still not clear as to whether both Zyrtec and Xyzal have the exact same amount (5mg) of the L isomer. If they both have the exact same amount of the active isomer, then aren't they the same product? Or does having the right isomer in there cancel out some of the activity of the left? Thats a good question Eric, nobody has answered that yet I see. I would think it would be the same too unless the inactive sterio isomer that binds to receptor sites and is not effective thereby blocking the receptor site so that the active sterio isomer cannot bind to it. Great post, easy to follow and well written. Thanks!